Two inmates of the Pesalai refugee camp were among the seven civilians who were arrested by the SLN Saturday. Relatives said the two, Pliman Johnson, 29 and Devadasan Raveese, 30, are from Vidaththalthivu, a large village on a promontory northeast of Mannar. 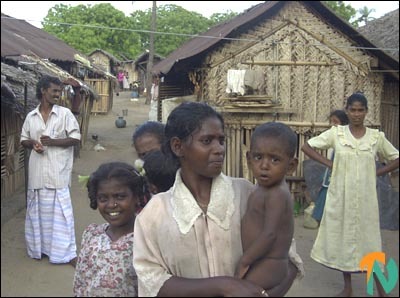 There are more than five thousand refugees mostly from Mullaithivu, Vidaththalthivu and those parts of mainland Mannar that are not under the control of the Sri Lanka army.